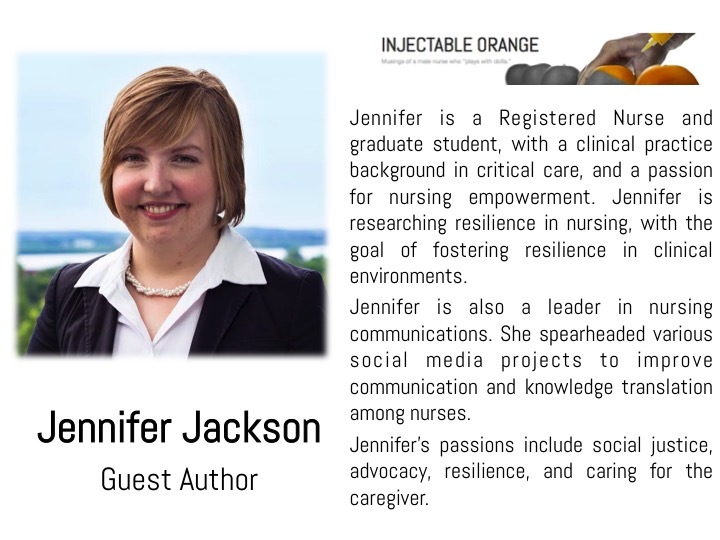 Editor: It is with great pleasure that Injectable Orange welcomes back guest author Jennifer Jackson. In this post Jennifer implores us, as nurses, to take an active interest in politics, as it really does impact right down to our capacity to provide care and treatment. This is a very timely post, as many of our junior doctor colleagues throughout the UK are in the midst of a political struggle around threats to their contractual provisions. In my home state we have seen major threats to senior doctor contracts and significant cuts to nursing jobs. The medical profession are often galvanised in their political missions to preserve the integrity and entitlements of their profession. Unfortunately nursing often seems to rely on unions or figureheads to represent our professional interests and often feel disempowered or disinterested by the politics of healthcare. Jennifer offers a call to action – stand up and be counted as a profession #NursesUnite. After a thesis-writing hiatus, I’m back for more discussion about professional issues in nursing! First on my list is nursing and politics. We are about to have a federal election here in Canada, which is promising to be one of the most interesting and important elections in a long time. In most countries, there are many opportunities to vote and be part in the political process. This blog post will look at some reasons why nurses need to be politically active, and what political action in nursing can look like. It is a great thing to be able to participate in a general election. The ability to have women, Indigenous persons, and Persons of Colour vote are fairly recent historical developments. There are fragile democracies around the world, where people are fighting to have political rights. Many people have devoted their lives to the support of these rights, and I think we do them a great disservice if we take our democratic power for granted. 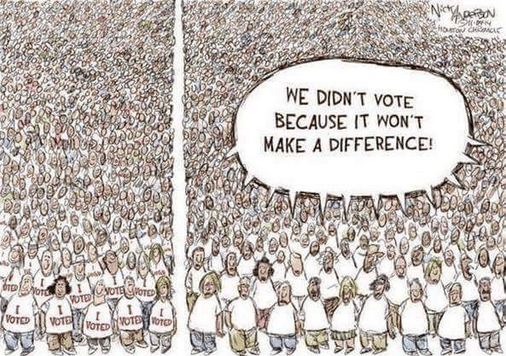 I also believe that voting and political engagement DO make a difference. If we look to the Greek meaning of democracy, demos refers to the people, while –cracy is government, meaning the government of the people. Our political opportunities, such as voting, give each person a voice in what happens in our systems. Whether you are male or female, rich or poor, rural or urban, you have an equal vote in how your country and your municipality are run. It is great to encourage general political participation, and there are lots of reasons that nurses can benefit from voting and being politically active. Political activity is as old as the nursing profession. Florence Nightingale developed the world’s first graphs, and showed them to the British Parliament, convincing politicians to continue funding her work in Crimea. There is a legacy in health care that is the result of political activity, and nurses can continue these efforts today. Politics can change the work we do. Political factors can have a substantial impact on what type of work we do as nurses, because of the impacts on society. A prime example? Texting and driving. Laws were enacted in Canada to decrease distracted driving, and there have been fewer car accidents as a result. This means fewer trauma codes, fewer ICU admissions, fewer fatalities. Laws and political decisions impact care we need to provide as nurses. As nurses, we can ask ourselves, who is coming through our doors? What could be done to address preventable illness and injury? We can represent the interests of the nursing profession. Most nurses are experiencing, or have experienced a period where there have been health care cutbacks. Wage freezes, working without a contract, decreases to hospital funding, strikes- most of us have been there. Nurses can follow these funding decisions directly to their impact on patient care, because of our role providing patient care. When we vote, we elect people who will make budgeting decisions. We can vote for people who will support our job security, and adequate funding for health care. We can also reinforce the importance of the nursing profession by contacting politicians to share information and let them know that nurses vote. Political activity gives nurses an opportunity to represent and advance our professional values. We can advocate for our patients. For me, the most important reason to be politically active is because politics is a means for nurses to advocate for patients. Advocacy is very important for nurses because social justice is a core value of the nursing profession. When we work in clinical settings, we can help one patient at a time, and this work is central to our profession. When we vote, sign a petition, or participate in a political event, we can potentially help thousands of people at a time. Political activity takes the work of nurses from being a discreet event in one setting, and raises it to a societal level. A lot of the social determinants of health can be impacted through political decisions. Nurses can help to protect health care access for vulnerable populations. An example of this is refugees. In Canada, funding was cut to refugee health care programs. An outcry from multiple professions took the case to the Supreme Court of Canada, where the decision was overturned. This is an example of when political action was effective to advocate for a vulnerable population. There are many ways nurses can be politically active. VOTE! (Especially on October 19 if you are Canadian). Encourage your friends to vote, too! Call or email your elected representatives, and tell them about an issue that matters to you. Engage with a political party or organization on social media, and share information with your followers. Actively participate in your nursing union or association. Join a protest or demonstration. Write a letter to the editor about an issue in your community. Run for a political position or office- can be anything from your local union chapter to a federal seat in parliament. Talk about politics with your coworkers, friends, and neighbors. Encourage them to get involved too, even if they have different views. Samara, a non-partisan organization dedicated to improving political participation. Vote Compass, to help you determine whom you should vote for on election day. These are just a few of the ways that nurses can be politically active. I encourage you to use political activity as part of your nursing practice, to advocate for our patients and our profession!